Where it is safe, get kids walking and bicycling. Where it isn't safe, make it safe to walk and bike. 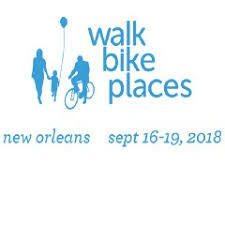 Last week Iowa Safe Routes to School had the pleasure of attending the 2018 Walk, Bike, Places conference. This city, New Orleans, is full of vibrant culture, neighborhood passion, and many public spaces. While attending the conference Iowa Safe Routes to School(SRTS) attended 4 mobile workshops. 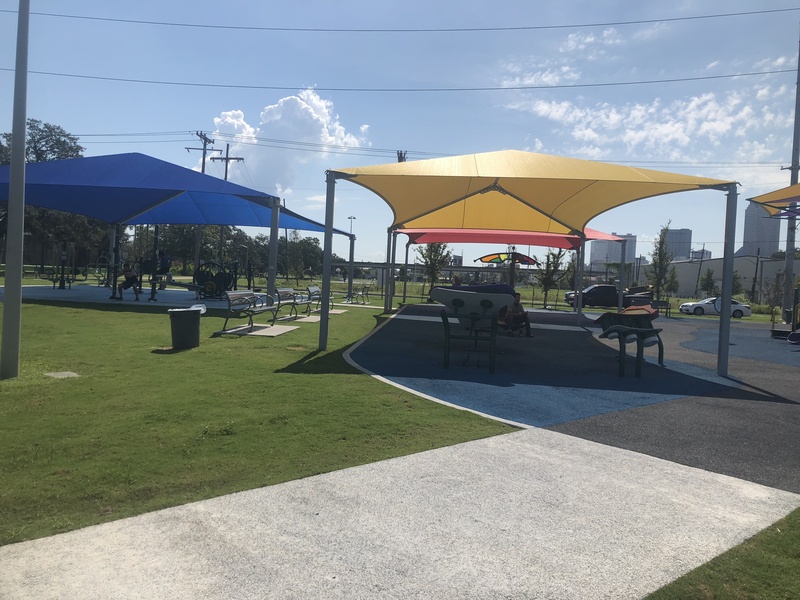 Each of the mobile workshops showcased a different theme, Public Art and Placemaking, Rising Stars, and the Southern Bells of Bayou Road, New Orleans “other” historic waterfront-Lake Pontchartrain, and Public History as Placemaking. Each of these mobile workshops we were able use the cities local bike share program, Social Bicycles(blue bikes), as well as public bus, trolley, and even a kayak ride on the lake! The weather was hot, hot, hot, and very humid. New Orleans has come a long way since Katrina, the city has pulled together and rallied behind their history and local culture. The city has its struggles with equity, accessibility, and wealth disbursement, as do many other big cities. Through proper community building and planning, they are attempting to bring people back to the neighborhoods post-Katrina. Providing healthy living alternatives, fresh food accessibility, community gathering places, really go a long ways towards bringing a neighborhood back. The art, architecture, and music scene has always been a point of pride to New Orleanites. Beautiful public murals are around almost every corner, and music is almost a way of life. The city has over 2500 miles of sidewalks, and many bike lanes, they have just begun experimenting with protected bike lanes in the downtown area. 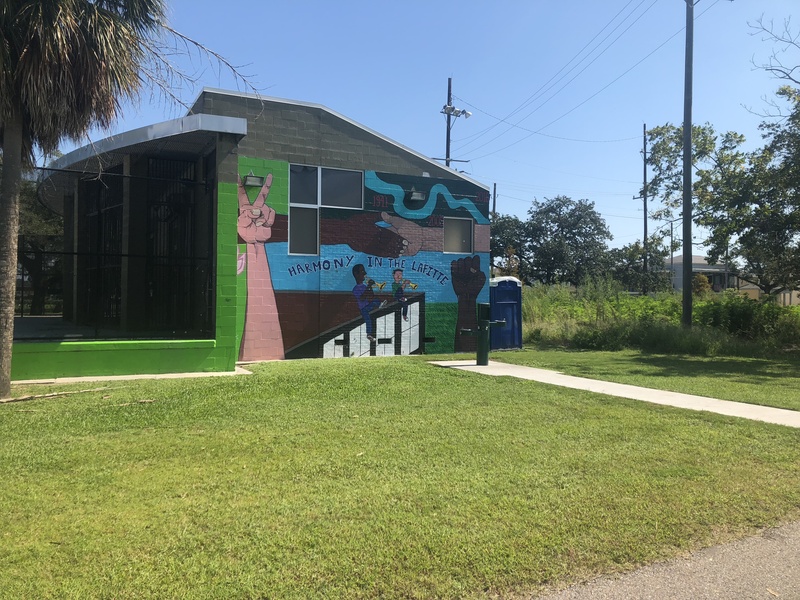 The Connect the Crescent project is an ambitious undertaking, but when complete will provide a safe bike route connecting many parishes in New Orleans. Connected, Comfortable & NOW, was one of the more interesting sessions we attended. As a non-profit, things can often move at a snail’s pace, so it was comforting to learn of some ways cities can implement friendly, and comfortable bicycle and pedestrian facilities in a short time frame. Also, advancing equity through trail development was the other favorite session. This one took a look at how trails in Milwaukee and Baltimore are attempting to address equity to make things more inclusive, sustainable, and health conscious.